Stem cells and PRP are a form of regenerative medicine. Stem cells are your body’s embryonic cells that have the ability to develop into whatever cell you need, whether it’s needed to make new skin, muscle, heart tissues, cartilage, nerve endings, or blood vessels. PRP is a blood product made from a sample of your own blood that’s rich in platelets, specialized proteins, and growth factors that help promote healing. For anti-aging and rejuvenation, stem cells and PRP can be applied to your skin and stimulate your body’s own natural healing powers to create newer, younger skin to improve look, tone, and texture. Dr. Tran may also use stem cell and PRP therapy as a treatment for acne scars. Botox and fillers are aesthetic treatments that help diminish the signs of aging by reducing the appearance of lines and wrinkles. Botox is a very popular cosmetic treatment used to minimize the appearance of crow’s feet, frown lines, and forehead wrinkles. The injections only take a few minutes and can keep you looking younger for up to four months. Fillers are special gels Dr. Tran injects under your skin to add volume and smooth out lines and wrinkles. Fillers are used to plump lips, soften lines and creases, and add volume to hollow cheeks. Dr. Tran also uses fillers to treat recessed acne scars. Dr. Tran also uses your own body fat to help smooth out lines and wrinkles and add more volume to areas that need plumping. Dr. Tran takes fat from your thighs or abdomen, purifies it, and then injects it into your cheeks or lips. What is the MEND protocol? Certain genes, such as the APO E4 gene, increases your risk for Alzheimers and early onset dementia. You may get tested for these genes if you have family members with Alzheimers. There is the understanding that these genes may begin early onset of Alzheimers by triggering a cascade of "down sizing" genes that leads to progressive mental decline. This can lead to our conventional understanding of "plaque" build up seen in Alzheimers patient. Early detection and implentation to preserve cognitive decline is important in prevention and treatment of Alzheimers. Treatment can extend beyond conventional limitations of Aricept and Namenda, and conventional medications. The MEND protocol may help prevent the onset of Alzheimer’s disease. 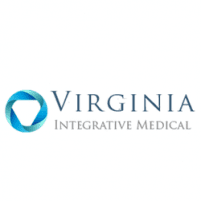 For comprehensive anti-aging and rejuvenation treatments, call Virginia Integrative Medicine, or book an appointment online. Please click here to view before and after photos. Also, be sure to check out this great video about VenusVersa below.